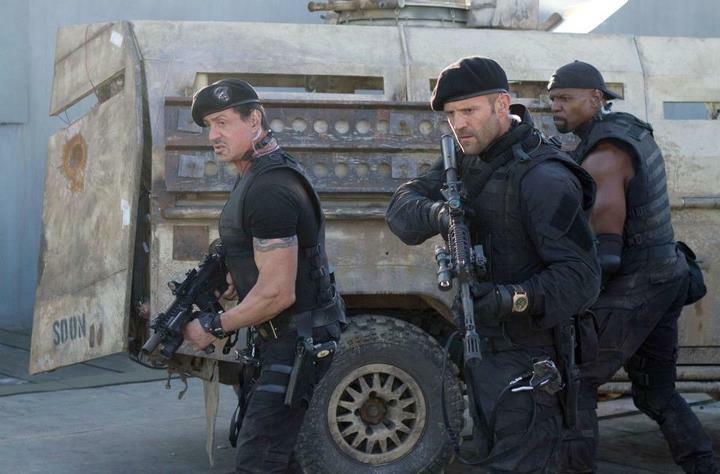 Yes folks, Sylvester Stallone is back as Barney Ross, a mercenary who is known for taking on jobs no one else would be capable of surviving, let alone completing. 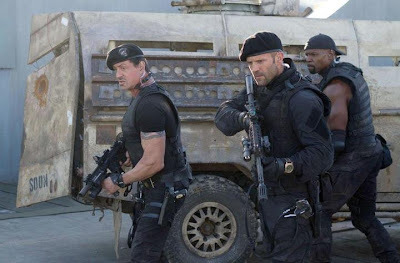 Along with his core group of companions, Gunner Jensen (Dolph Lundgren), Lee Christmas (Jason Statham), Hale Caesar (Terry Crews), and newcomer Billy (Liam Hemsworth), Ross is once again sent out on a mission by Mr. Church (Bruce Willis) to retrieve an undisclosed package from the site of a plane crash. 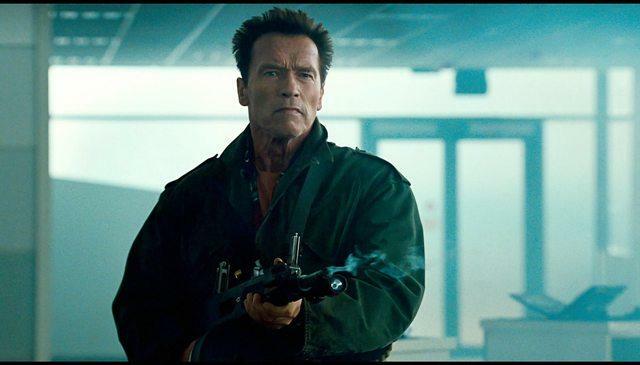 What was supposed to be a by-the-numbers operation takes a turn for the worse when the group is ambushed by an opposing force led by Mr. Vilain (Jean-Claude Van Damme), who take the package and leave the team in disarray. Of course, this sets everything up for a revenge fueled showdown that will feature a non stop barrage of blood splattering violence and an endless trail of dead bodies and blown up buildings. 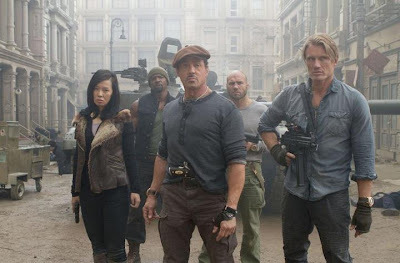 What really stands out about this movie is just how insanely fun it is and also how it is leaps and bounds ahead of the first installment in the series. Granted, the writing is still bad and there are so many clichés you almost feel like the creative team had a checklist of all the things a bad 1980's action movie should include. Fortunately, these are also the things that make the movie so much fun to watch. The main appeal here is watching Stallone, Willis, Schwarzenegger, Van Damme, Chuck Norris, and everyone else do their thing and the movie excels in its ability to poke fun at what each of them has been most known for over the course of their careers. 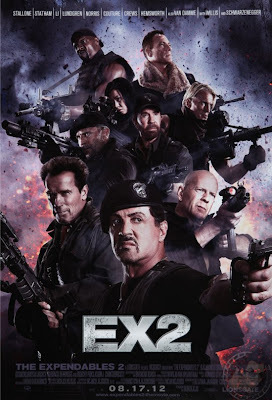 If you have ever enjoyed watching any type of action movie made between 1980 and now, you will find more than enough to like in "The Expendables 2". I miss the fun action movies of the 80's and 90's, so this should be fabulous!